A disc brake lock is placed over the disc broke of the motorbike, so the front wheel is not able tot roll anymore. Disc brake locks are compact, light and therefore easy in transport. 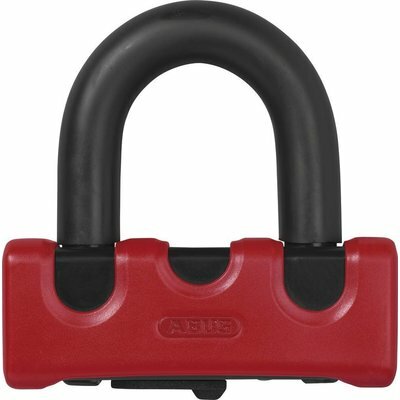 Disc brake locks are available in many different types. There are brackets, pins and even disc brake locks with alarm. 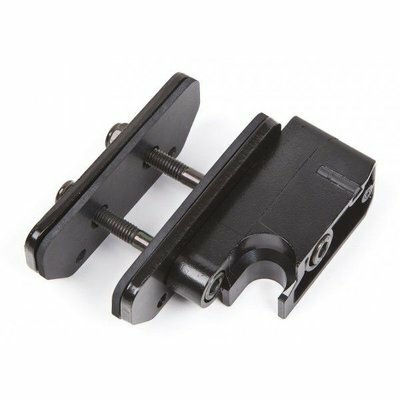 There are also handy lock carriers available with which you can mount the disc brake lock to your motorbike. Do not forget to buy a lock reminder with your disc brake lock so you will not forget to remove the lock from the disc brake before you go riding. You will not be the first! 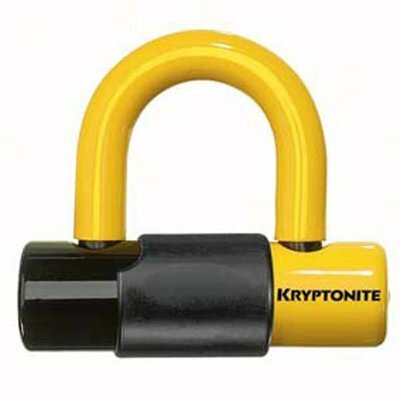 The quality of a disc brake lock is determined by the hardness of the steel. 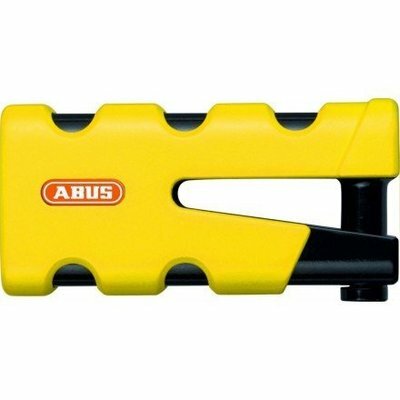 A more expensive lock will not show any air bubbles if it is placed under the microscope. The steel will therefore be harder so that it is more difficult to cut through. 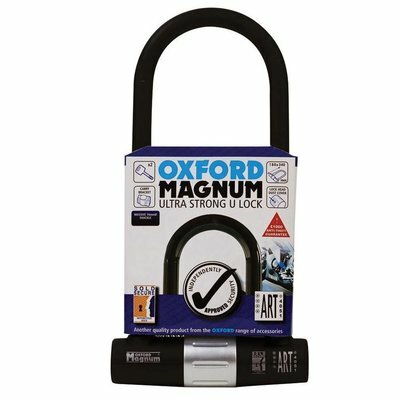 When choosing a motorcycle lock it, pay attention to the indication of the ART foundation. The ART-foundiation divides locks into the categories 1 to 5. In general, insurance companies require a category ART-4 test seal for a motorcycle in their conditions. Which ART test seal your insurance company requires can be found in their conditions. Do you have questions about disc brake locks for your motorcycle? Then contact our customer service specialists. We are happy to help you with expert advice! 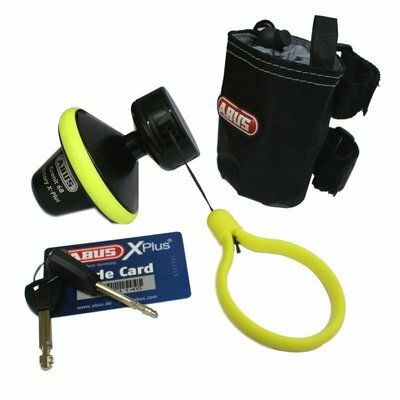 In addition to disc brake locks you can also pass other accessories such as waterproof bags, winter gloves, summer gloves and heated gloves. We also offer a wide range of motorcycle clothing. Of course you are cordially invited to our shop in Amsterdam. 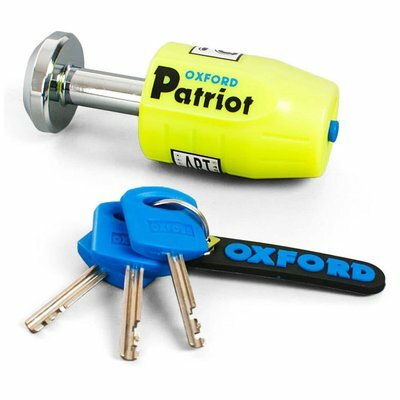 Here you will find our full range of motorcycle locks. You can order motorcycle disc brake locks easily and quickly. With an order from € 50,- you will benefit from free shipping in NL.